ALL the people of the world are expectant of something. The old, young, male and female do expect something. What is the thing that people expect? The thing is DEATH. When we wake up in the morning, we do expect death and there is no one death does not ring a bell in his or her heart everyday. What makes you thank God for waking up in the morning means you did not die. It is not necessary to thank God for waking up if you did not know death could come. Some old people do not want to struggle for anything again because they always think they have few years to live on earth. Jokingly I told a 70-year old man that God would give him about N5million. He wondered why God should give him such money when he had few years to live. Did God want him to be struggling how to manage the money at old age, he asked. He felt God should not give him such money. In fact, he believe death would come and another person would enjoy the money, so God would be wicked to give him the money. Therefore people do expect death any time. Even a day-old baby hearing the sound of death will be afraid because he or she has been expecting death. Beloved, death is an inevitable thing that will come. All other things we do in the course of living our lives i.e. struggling to own houses, cars and other possessions are different from death. As we are struggling to possess all these things, death is moving closer to us. People are destined to die at a particular time and the time will never be changed. But untimely death of some people through principalities could be averted by a true prophet or man of God. Untimely death occurs if a person slanders Holy Spirit and an anointed of God because the Bible says there is no forgiveness for anybody (that blasphemes against Holy Spirit (Luke 12:10) Also, many people could have been involved in serious sinful acts that could lead to untimely death. Romans 6:23 says: “For the wages of sin is death…” Imagine a very young man that lived a short life. Some people know that death is inevitable but want to enjoy life by committing sins that could result to their untimely death. Sometimes we forget about death particularly when doing something that is pleasant to us but in the night we then remember death. For instance, a woman that was so successful in textile business, famous and rich suddenly things turned around her. She started experiencing misfortunes and downward trend in her business. This led to indebtedness and sickness to the extent that she was requesting for death to take her away. In fact. she attempted to commit suicide but to no avail. How did she get her wealth and riches? The means of her riches were dubious. In fact, I pitied her, because I know her during her famous days. So many people encountered untimely death because of what they have done to get their riches. Therefore, we all know that we are expecting death. But the concern is what will death meet in our hands? Brethren, I want people to be conscious of how they live their lives and relate with other people. Some people make others to cry by inflicting pains compounding their problems and creating additional burden on them. 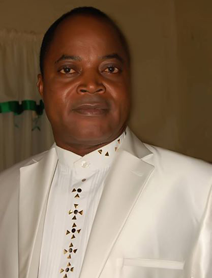 The post Death is certain, so watch how you live – Daramola appeared first on Vanguard News.